Did Whitney Houston drown in the bath tub after being overdosed? The probable cause of legendary singer and film star Whitney Houston is being attributed to drowning in a bathtub having accidentally, after being overdosed on a cocktail of prescription drugs and alcohol. 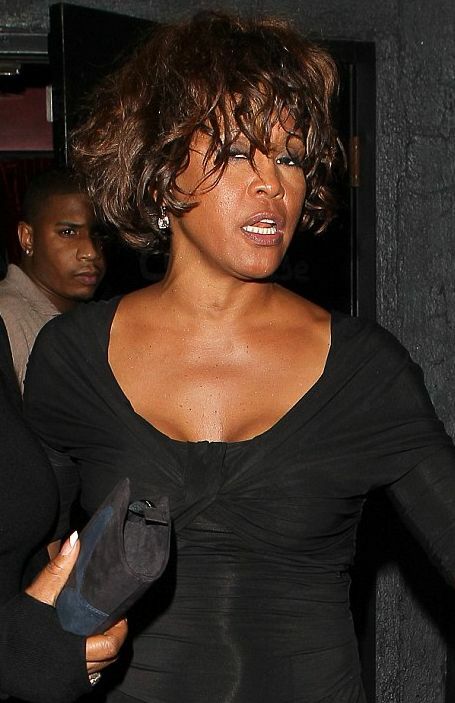 Whitney was found dead by her bodyguard in a luxury hotel suite said to have been littered with bottles of prescription pills. Bottles of Lorazepam, Valium, Xanax and a sleeping medication were found in the hotel room, it has been claimed. The drugs were believed to have acted as sedatives, causing her to fall asleep in the bathtub once they had been mixed with alcohol from the previous evenings. Paramedics battled to revive the singer but she was pronounced dead at 3.55pm yesterday afternoon, hours before she had been due to perform at a pre-Grammys party at the Beverly Hills Hilton in LA.